As a boxer owner I understand that my dogs are…well…different. I have owned many breeds in my lifetime but there’s just something about boxers that stands out. Whether it be the odd things they do or the way they can melt my heart, there’s just something about boxers. Here are a few things that I’ve noticed that only boxer owners will understand. You know what we’re talking about. That distinct noise that only a boxer makes. It’s not aggressive, not whiny, just boxer. When you hear it, you think your pooch wants something. Surely it must be something important…but it isn’t. While we long to understand the inner workings of our boxers’ minds, we are left with dogs that drive us crazy and make us melt at the same time. So play with your pooch, give her kisses, and listen to the sweet sounds of the “Chewbacca” growl. When you read the title of this article, this is probably the first thing that came to your mind. Yes, it’s true, boxers can fart with the best of them. Not only can they make sometimes loud and hissing sounds, but the smell…oh my. My boxer is actually scared of her farts. As soon as she hears one, she runs out of the room like she owes it money. Yeah, we said it! Boxers twerk and they do it well. Have you ever come home to your dog so excited that you were convinced she was listening to a Robin Thicke song? Some snore more than others, but generally they all rattle floors while they are sleeping. We used to make our boxer sleep in another room just to get some peace and quiet at night…but we could still hear her snore. Even when our boxers are in sooooo much trouble, we can’t help but feel for them. They have mastered the look of guiltocence (To look guilty and innocent at the same time). How many times have you found your boxer sleeping in your bed or on your couch when they KNOW they aren’t supposed to. You’ve read every tip about how to prevent it, but boxers are persistent and let’s face it – we give in every time. If anyone ever tells you they have a dry-mouth boxer, they’re lying. I know, this isn’t just a boxer thing. All dogs beg, right? Well, boxers are just better at it than other dogs. My dog has a strategy mapped out. In fact, I’m convinced she rehearses this when I’m not home. Boxers, I applaud you for your efforts at being the most accomplished beggars in the world. You can’t run, you can’t hide. If your boxer needs some attention, you know darn well she is going to get it. Of all the distinctive traits of your boxer dog, patience is probably the one you are thankful for. Boxers are rarely annoyed with you, never get sick of you, and are comfortable with any kind of attention you give them. Oh, and did I mention they are the best dogs with kids? I have always said that I could leave my boxer in a room full of infants, and I would worry more about my dog than the babies. If you do not own a boxer, this list may give you the impression that boxers are terrible dogs. But, until you own one, you will never truly understand how special boxers are. 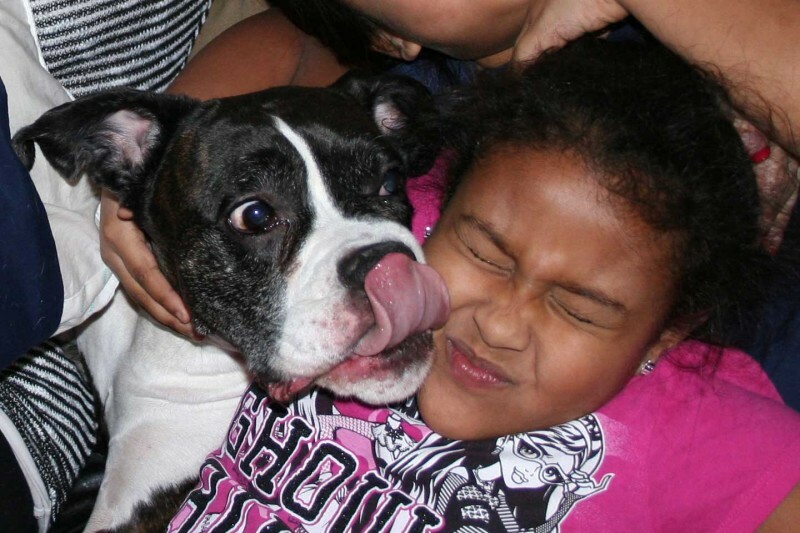 It’s all of the funny, weird, and annoying things that make boxers the best dogs in the world. They may drive us owners nuts with their quirky behavior, but we love them more because of it.